DOPPELADLER.COM - das Ende des französischen U-Bootes Foucault. An on-line edition of Captain Manfred von Richthofen's 1917 account of the airwar during World War One. At The War Times Journal. The Great War Flying Museum is a WWI museum preserving the history of flying aces like the Red Baron (von Richthofen), Rickenbacker, Bishop, Guynemer, Mannock, Ball, etc., who flew airplanes with names like Spad, Fokker, Albatros, Nieuport, and Sopwith Camel. "AVIONES GUERRA CIVIL ESPAÑOLA / SPANISH CIVIL WAR AVIATION -UM/LU: 08/12/2004 "
Pilot who after ditching his Hurricane in the sea off German-occupied Crete got away by RAF flying boat. The Australian War Memorial commemorates the sacrifice of Australian men and women who have served in war, through its ceremonial areas, extensive exhibitions and research facilities. A memorial to Special Forces past,present and future. Includes awards, roll of honour, histories and links. Austrian-born photographer awarded the Distinguished Flying Cross and bar. Obituary: Alfred Lammer from Independent, The (London) in News provided free by Find Articles. The history and Heritage of the the Canadian Air Force from its inception in 1918 to the present day. Includes photo galleries, online store, aircraft database and much more. A daily Summary of Events transcribed from 439 Squadron's Operations Record Book for the years 1944 and 194. Cvitan vitez Galić, lovački as s 38 priznatih i 8 nepriznatih pobjeda. Internetový občasník o moderných slovenských dejinách. Setkání s veterány RAF a československé armády, akce, besedy, air show atd. Danish WW2 Pilots is created to gather information on the Danes that joined and fought for airforces of the world during the Second World War. The site is an attempt to gather and share as much information as possible. Information on Arado, Bachem, Blohm Voss, Dornier, Fieseler, Focke Wulf , Gotha, Heinkel, Henschel, Junkers, Messerschmitt, V1, V2, planes of WWII development history, combat service, technical data and photos. Diese Homepage befasst sich mit der Entstehungsgeschichte,Technik und der Verwendung des ersten in Serie gebauten und einsatzfähigen Düsenjägers der Welt,der Messerschmitt 262 (Me 262). This site aims to give an overview of the volunteers from the West Indies who flew for the Royal Air Force during the Second World War. This website is dedicated to the memory of Wing Commander Ernest Reginald Baker DSO,DFC and Bar. a successful fighter pilot in the Royal Air Force Â during the Second World War . Squadron Leader James Joseph O'Meara D.S.O., D.F.C. No. 99 Squadron, Royal Air Force, 1939 to 1945 - European theater and South east Asia Command. A history in photos and the words of those who were there. The book Silently into the Midst of Things is a history of the 177 Squadron Royal Air Force during World War Two. Flying Beaufighters against Japanese targets in Burma from 1943-45, this is the story of a little known part of the War in the Pacific. The History of No 609 (West Riding) Squadron, Pt IV. Led by keen and courageous pilots and supported by a loyal and efficient ground staff, No. 610 (County of Chester) Auxiliary Squadron was a R.A.F. unit of which, not only the County of Chester, but the whole of Britain can indeed be proud. Looking to be reunited with old friends or seeking information on someone who served with the Royal Air Force during WWII? We can help. Royal Air Force Campaign Histories. The ultimate list of all badasses past and present. Dedicated to the history of the early years of Latvian aviation. All about the aircraft, the pilots, the events and my photos. We Were There - Flight Lieutenant Cyril 'Jimmy' Talalla DFC, August 1944, and Warrant Officer Henry Talalla June 1944. Santiago A. Flores: Richard Gomez Candelaria vs. Schulungslehrgang "Elbe"
Organisatie en verrichtingen Nederlandse Luchtmacht in mei 1940 met eveneens aandacht voor de Duitse tegenstander. Działania polskiego lotnictwa w latach 1939-1945: kampania wrześniowa, wojna we Francji w 1940 r., bitwa o Anglię, polskie lotnictwo w ZSRR; listy lotników, zestrzeleń i strat; dokładne biografie polskich lotników myśliwskich i bombowych. Myśliwcy - polskie lotnictwo myśliwskie w II wojnie. Samoloty,piloci,dywizjony,PSP,RAF. Personel Polskich Sił Powietrznych w Wielkiej Brytanii w latach 1940-1947. Informacje o blisko 17.000 lotników zebrane w pracy Anny i Tadeusza Krzystek. 301 Dywizjon Bombowy Ziemi Pomorskiej, Eskadra C 138 Squadron RAF, 1586 Eskadra do Zadań Specjalnych - historia, biografie, wspomnienia, fotografie. Lt Raynor Field, Pilot of the South African Air Force, 1941 - 1944 & Royal Air Force, 1944. Советские асы, 1936-1953 гг. : биографии, боевой путь, награды и фото лучших лётчиков России с 1936 по 1953 гг. Абрамов, Александр: Красные соколы, Лучшие Асы России, 1914 - 1953 гг. На сайте представлена инфориация о лучших летчиках - истребителях России с 1914 по 1953 гг. Красные соколы: биографии, боевой путь, награды и фото лучших авиаторов лётчиков России с 1914 по 1953 гг. Герои войны и герои советского союза. Военные летчики - авиаторы и испытатели. Биографический справочник "Герои Советского Союза"
Сталинские соколы книги в сети технические характеристики самолётов самолёты второй мировой войны тактика истребителей и лётчики. Ла-7. Иван Кожедуб. Верность Отчизне. Сайт посвящен 174-му гвардейскому Краснознаменному Печенгскому ИАП и людям, которые служили в прославленном полку. К сожалению, полк в 2001 году был расформирован. Война в воздухе. Отдельные эпизоды 1941-1945г.г. Военная литература: Быков М. Ю. Асы Великой Отечественной. Самые результативные летчики 1941-1945 гг. Сайт «Военная литература», работающий с 2001 г., собрал в себе множество текстов, имеющих отношение к военной истории и истории войн, и постоянно пополняется новыми материалами. Среди них -- первоисточники, архивные материалы, документы, мемуары, исследования, проза и поэзия, биографические работы, пропагандистские материалы, статьи, альтернативная военная история, книги по истории техники и оружия, уставы и наставления, устная история, детская военная литература, карты и схемы, военная периодика и многое другое. Зильманович Д.Я. "На крыльях Родины"
Сто сталинских соколов. В боях за Родину. Author: Баженов Николай + Дегтев Дмитрий + Зефиров Михаил, Book: Тени над Заполярьем: Действия Люфтваффе против советского Северного флота и союзных конвоев, Genre: научно-историческая, Year: 2009 г.
Ю. Рыбин. : О Сафонове не по мемуарам, Мир авиации, N1, 1995 г.
Ю. Рыбин. : Уравнение с одним неизвестным или Снова о воздушных победах асов II Мировой войны, "Авиамастер" № 5, 1999г. Имена тысяч и тысяч безвестных советских летчиков никто никогда не узнает и не вспомнит. Именно они, кое-как подготовленные, плохо обученные, почти не имевшие никакого летного опыта (не говоря уже о боевом), десятками тысяч тел накрыли и, в конце концов, погребли авиацию Германии. Автор выражает отдельную благодарность за помощь в подготовке материала Леонарду Качан (Минск). На этой неделе сильно урезанный вариант этой статьи выйдет в журнале «История авиации» - номер, вероятно, уже сверстан в типографии. На решение опубликовать этот текст без купюр здесь, до выхода журнала в свет, повлиял ряд объективных обстоятельств, в том числе нарушение обязательств и обещаний, данных авторам редакцией «Истории авиации». Поэтому мы и предлагаем вашему вниманию собственное расследование, проведенное корреспондентом JustMedia. Убеждены, что безусловная сенсационность фактов и предположений, изложенных в этом материале, привлечет внимание, как специалистов, так и просто любителей истории. Юрий Нерсесов: Американский счёт майора Кожедуба, Газета «СПЕЦНАЗ РОССИИ» № 04 (91) апрель 2004 г.
Под занавес Второй Мировой войны лучшему асу СССР пришлось дважды дать урок летного мастерства зарвавшимся 'союзникам'. This page gives a brief narrative history of the Japanese aircraft used by the Thai military air arms in World War 2. WWII History of the Yoxford Boys, the 357th fighter group whose airfield was at Leiston, they had great aces like Bud Anderson and Chuck Yeager who flew the P-51 Mustang in combat for the USAF. Main page of Official 384th BG website. Welcome to Tucson's own 406th Fighter Group WWII Memorial Association. We are glad to have you on board! The 406th Fighter Group fought its way across Europe during the Second World War as part of the 9th Air Force. EagleSquadrons.com is a website dedicated to honor and preserve the history of those brave and selfless Americans who volunteered to fly and fight for Britain's Royal Air Force and against Nazi Germany. Welcome to the 319th fis, 319th FIS, 319th Fighter Interceptor Squadron, here you will find information on our history and annual reunions. Looking for 8th AF locations, memorials and museums in Britain? You will find unit descriptions, photos, and driving maps with key locations marked for your convenience. WWII Squadron Patch Insignia. Photos. 1941-1945 A2, G1, Walt Disney, Warner Brother Studios, AAF, USMC, USN Jacket Patches. Many For Sale. The most decorated ship of the Second World War, Enterprise changed the very course of a war she seemed to have been expressly created for. Aces and other fighter pilots of WW2. Lots of info, photos & aviation art as well as links to additional infos. The-Few :: Flying Legends of World War II: A comprehensive online resource for anyone interested in World War 2 aircraft. The-Few Flying Legends of World War II provides historical resources for military history and World War II historical purposes. Авиация Второй мировой, история, новые факты, комментарии. WWII Aircraft Performance Testing, wartime flight trials and reports of aircraft. aircraft data. Between 1950 and 1970 there were a score of US military aircraft shot down by the military of the Soviet Union in undeclared war. Pyongyang officially confirms that it sent pilots to fight on behalf of the Communist North during the Vietnam war. Советские асы Корейской войны 1950 - 1953 гг. Советские асы Корейской войны: краткие биографии, награды, фото советских лётчиков Корейской войны 1950 - 1953 гг. Сейдов Игорь: Ночной заслон, Малоизвестные страницы Корейской войны 1950-53гг. Кошелев, Александр: Полвека назад наши асы устроили американцам "черный четверг"
Сеидов, Игорь: Ночной заслон, малоизвестные страницы Корейской войны 1950-53 гг. Yevgeni Pepelyayev: A Red Predator over "MiG Alley"
Независимое издание Украины Зеркало недели: эксклюзивная аналитика, уникальные источники информации, объективность и оперативность анализа политической и экономической ситуации. Основные темы публикаций: политика, экономика, культура, наука, право, публицистика, бюджет, финансы, банки, туризм, спорт, семья. The archive of KOREAN-WAR-L@ukans.edu, this archive contains the collected postings of that list. Красные дьяволы в небе корен Советская авиация 1950-1953. Хроника воздушных сражений. This web site is dedicated to the Teledyne-Ryan AQM-34 Firebee, the most important Remotely Piloted Vehicle (RPV) in military history, with 3500 operational missions flown. POW/MIA Databases & Documents: The Library of Congress -- through the Federal Research Division -- provides customized research and analytical services on foreign and domestic topics to United States Government and District of Columbia agencies on a cost-recovery basis. This is the index page for the Aeroflight guide to aviation in Israel. Izraelské letadlo sestřelilo nad Středozemním mořem bezpilotní letoun libanonského Hizballáhu. Letadlo spadlo do moře nedaleko izraelského přístavu Haifa. Izraelská armáda incident potvrdila, militantní šíitské hnutí však popřelo, že by stroj patřil jemu. المجموعه 73 مؤرخين ، هي عباره عن شريحه بسيطه من شباب مصر المدني المتعلم المتحمس لوطنه وتاريخه ،تجمعوا لخدمه مصرو لتأريخ البطولات المصريه في حروبها ونشر الانتماء والولاء للوطن ومحاربه عمليات تشويه البطولات المصريه وطمس وتزييف الحقائق بأدله وبراهين من فم الابطال انفسهم . This page is a preliminary one for the working use of persons contributing to the project. Links will become active as projects come on line. Nonetheless, you are most welcome to help us formulate our mission in more precise terms, or to join us in any manner that will help the project and yourself. Dit is de officiele on-officiele website van het 322 Reaction Force Squadron te Leeuwarden. Op deze site kunt u allerlei informatie vinden over het squadron. Met eventuele vragen kunt u altijd terecht bij onze PR afdeling. A tribute to the 1982 Falklands Conflict with contributions from veterans from around the world. The Air Force History Support Office is responsible for writing books, monographs, studies, and reports to preserve the history of the U.S. Air Force. The AFHSO also provides historical information, analysis, and perspective to Air Force leaders and their staffs to support planning, policy development, and decision making. The AFHSO also responds to requests for information from private organizations, government agencies, and the general public. 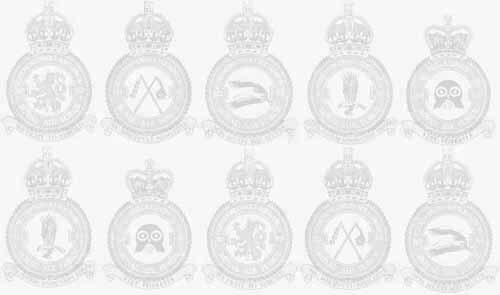 Whether you're looking for a family member, squadron history, lost wabirds and crash sites, Accident-Reports.com offers a wide range of resources to help find the information you need. Research and reproduction of military USAF, USAAF, USN & USMC aircraft accident reports and photos of airplane crashes and mishaps including P-47, P-51, B-17, B-24, B-29, F-80, F-84, F-86, P-38, P-39, P-40, P-39, B-25, B-26, C-47, C-54, C-46, AT-6, and much more! In the Pacific Theatre Lt Col Jerry Johnson of the 49th FG was an ACE with 25 kills. On his P-38 were the flags for 24 Japanese and 1 Australian kills. Re: Most Aerial Victories by Plane Type? World War Two ended 69 years ago, and nearly all of us that use the Net today did not witness any of it. Everything we know we read in books, viewed in photos and saw in newsreels of the time. Colour photography was in its infancy in 1939 therefore more than 90% of those images were recorded in black and white.Fortunately there were people who took colour photos,and today these images gives us a rare view(on our own &quot;colour&quot; terms) into those happenings of so long ago. This set contains aircraft used by the Royal Air Force of Great Britain including Fleet Air Arm and to a lesser extent the South African Air Force,as well as other Allies in the British Commomwealth.....and a few other odds and ends. Copyright. I am aware that some of these images may be subject to copyright, and will gladly remove any such items if so requested by the genuine holder of the rights. In no way is any income derived from this set and the sole pupose is to share with fellow aircraft enthusiasts and modellers . My E mail address is on the Profile page. JetPhotos.Net - The Friendly Way to Fly! Online aviation photo database, featuring thousands over 1 million photographs of jet airliners, general aviation airplanes, business jets, cargo planes, military aircraft, discussion forums, aircraft census and more. The Friendly Way to Fly. Slavnosti svobody, oslavy osvobození města Plzně americkou armádou. Et si la France avait continué la lutte en 1940 ? Mezinárodní literární festival. Programy, místo konání, autoři, sponzoři, předchozí ročníky a historie festivalu.